We believe in reuse, reduce, recycle so thought it was time for a Reusable Big Boy Shopper Tote Bag from Busy Beaks! 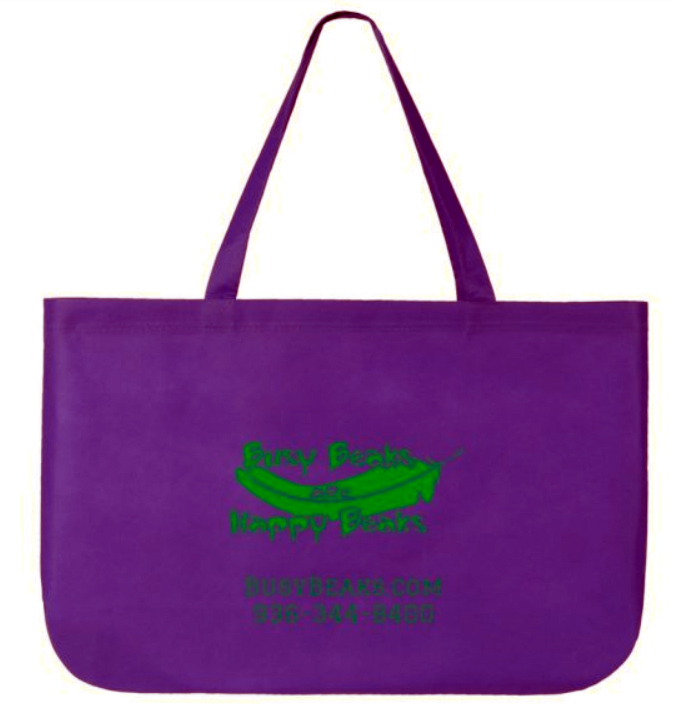 The bright, fun purple bag has lime green print on the front is made of 80g Non-Woven Polypropylene. This tote is good sized at 12" H X 19.75" W X 5" L with enough room for your shopping goodies and can be used time and time again. The double 19" handles ensure easy carrying. A bonus for those that shop with Busy Beaks at marts or at Parrot Festival ... bring your Busy Beaks Tote to checkout and we will give you $1.00 off your order. NOTE: Spend $75 or more (not including tax or shipping) and we'll automatically include one free in your order!